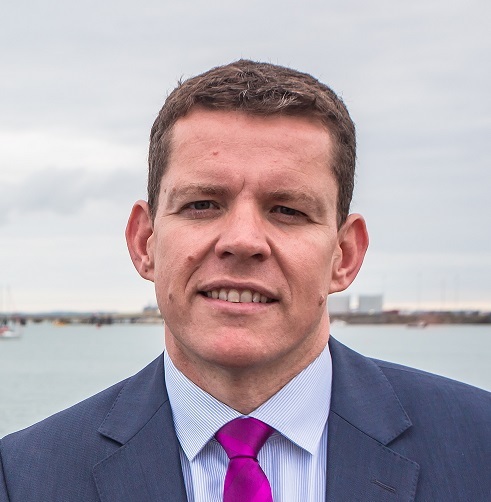 In a National Assembly debate on the ‘blue economy’ this week, Ynys Môn AM Rhun ap Iorwerth emphasised the importance of the sea to Anglesey’s economy and talked of the importance of having a marine strategy to make the most of its resources. Activity related to the sea is valued at around £2.1bn in Wales, supporting tens of thousands of jobs. In his contribution to the debate which he had co-tabled, Rhun ap Iorwerth spoke of the Morlais project, the SEACAMS department at Bangor University, as well as other industries such as food and tourism and the potential of the cruise ship industry. “As a nation, the sea is in our blood, it’s part of our fabric, part of our history and our culture. In our sea and on our coastline, there is beauty and leisure to improve the quality of life for the citizens of Wales and to attract visitor. There is food and endless energy. The seas offer a challenge to develop technology and new manufacturing skills to release all of that potential, and all of this contributes to our blue economy. “The Irish Government has a strategy to develop its marine economy, ‘Harnessing Our Ocean Wealth’, which looks at the marine sector in its entirety. And that’s exactly what I think we need to do here in Wales. “There is innovation in my constituency, especially in the area of renewable energy. Menter Môn, through the Morlais demonstration zone, is attracting companies from across the world to experiment with the next generation of marine energy production technology off the western coast of the island. I’m very confident that Minesto and their innovative, incredible underwater kite will create a new industry that will not only employ local people but will also export globally. “It’s important to talk of the work of the excellent SEACAMS department at Bangor University in Menai Bridge. Wales can innovate and lead. I welcome the funding that has been invested in marine research in Wales, but of course European funding has been crucial to that. There is no assurance from the UK Government that they will make up that funding in the future and that uncertainty threatens to undermine much of the good work that has been done already. “I will briefly mention a few other elements of the marine economy that we could develop. Tourism, for example. We need to take the cruise ship industry to the next step on Anglesey by investing in resources. The food sector in also important on Anglesey. Halen Môn is an example of the purity of our seawater. But, we also produce the best mussels in the world and all of that is exported. So, let’s invest in processing resources so that we can develop that even further.